Kolkata evokes mixed feelings in me as I find it difficult to wrap my head around the multitude and conflicting aspects of the city. It is a city with futuristic thoughts, ideas and ideals. It is also the only Indian city that can boast three Nobel laureates and it a city that clutches on to its past and tugs it along. Parts of Kolkata’s the glorious past and its exuberant present are well maintained and polished but there are also parts of the old and the new that intermingle to form a melee of sorts. Kolkata has always managed to surprise me, amuse and amaze me and exasperate me. I am no expert on the city but I seem to have traveled to the city on more than a couple of ocassions and I almost always have a new experience, a new tidbit of information, a new taste for my taste buds and a new aspect of life. Here are some aspects of the city that are as unique as the city itself. A very unique aspect of Kolkata that I discovered on my recent trip was water pumps on the side of the roads that spout water continuously onto the roads and drains. The water pumps was water straight from the Ganges and the water spilled onto the road in full force. These pumps were apparently installed by the British to wash the roads and feed the horses. Some of these pumps or spouts have taps that can be opened and closed while a majority does not have any mechanism to close the tap when not in use hence flow continuously. These water spouts are used by the road dwellers and I am sure they find it to be a boon but I do wish more of these had taps installed on them. Trams were a common fixture in cities during the Bristish Raj and remnants of the tram system can be found in Mumbai but to see an operational tram one needs to go to Kolkata. These trams have probably been operational since the British and cost a mere 5 Rs for the ride. The down side is that the tram moves slower than people on the crowded and narrow roads. It is worth the experience for a joy ride though people in Kolkata still use the tram system judiciously. The Hoogly river (distributary of the Ganges) is the lifeline for the city of Kolkata and traditionally life in the city revolves around the huge expanse of the river. 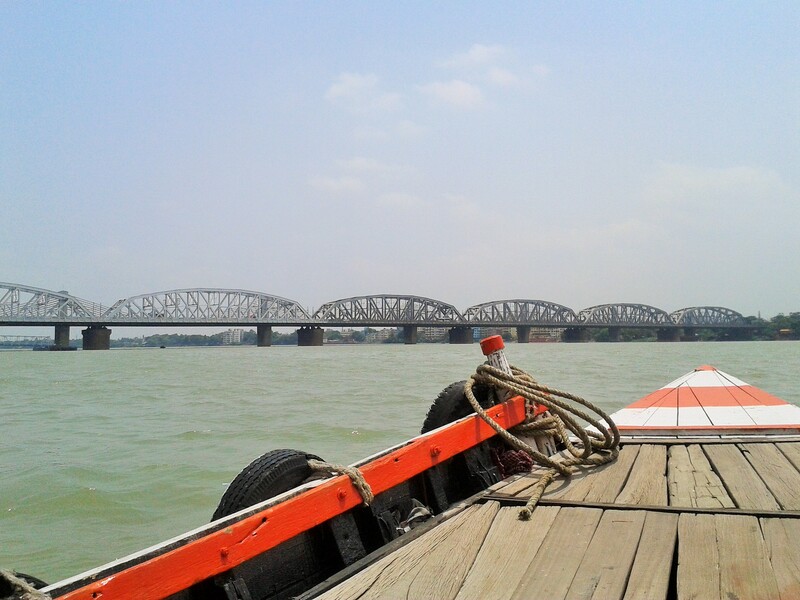 One of the beauties of the Hoogly are the wooden boats that ferry people across the river for a small price of Rs 10. The boat ride is quite therapeutic as you sit huddled on the floor of the boat with the few other passengers as the boat idles across the river. Very few major cities in India can boast this experience. Hand drawn rickshaws are another relic that has stood the test of time in Kolkata long past its prime. Most hand rickshaws are more than 30 years old in the city and the people in Kolkata still use its services to meander on narrow crowded streets. It is quite a sight to see a man pull the rickshaw with two or more passengers. It also comes as a shock to people who are seeing hand drawn rickshaws for the first time. Bonedi Bari I am told translates to the aristocratic houses of the yester year. A walk down some of the older parts of the city is testament to the beauty of the old houses and the charm they must have had. 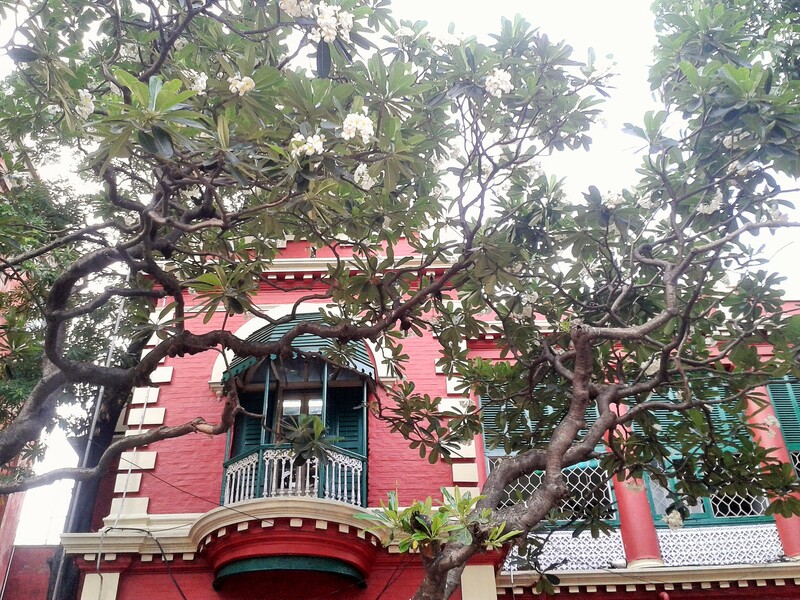 Most of the houses today are in need of serious repair and some are abandoned but for a tourist who wants to have a glimpse of the old aristocracy in Kolkata, one can visit the renovated houses of Vivekananda and Tagore Bari. The house where Swami Vivekananda grew up has been renovated to match its former glory and offers a glimpse of life as it was. Tagore Bari is more of a museum. Victoria Memorial is one of the most prominent landmarks that the British left in India with sprawling gardens surrounding the memorial. The memorial houses many artifacts from the times of the Raj in Kolkata among these artifacts is Tatya Tope’s achkan or jacket. Now for those who are weak in Indian history Tatya Tope was a celebrated leader who lead the rebelion of 1857 against the British. He was born in Maharashtra and led the rebellion in M.P and was executed there. The jacket sticks out like a sore thumb in the Victoria Memorial in Kolkata as it almost feels like Tatya Tope forgot his jacket in Kolkata which they later put in a glass case and lets not even start wondering about the lock of hair. Don’t believe me go have a look for yourself. Very good article on Kolkata, enjoyed reading. 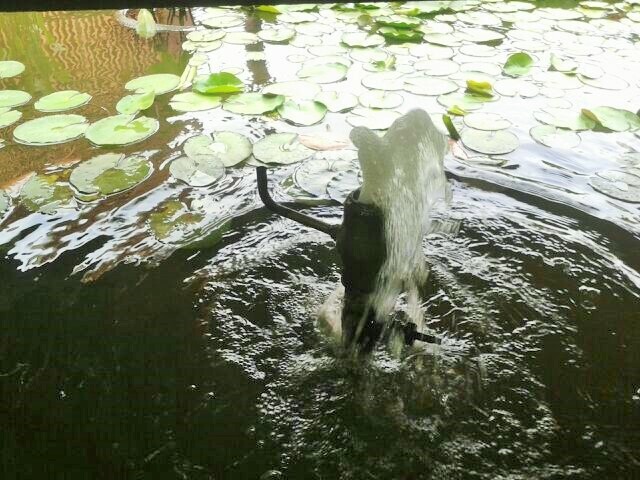 I’ve stayed 2 yrs in Kolkata and tried a few of them…lovely post! No definitely not easy to miss the tram.